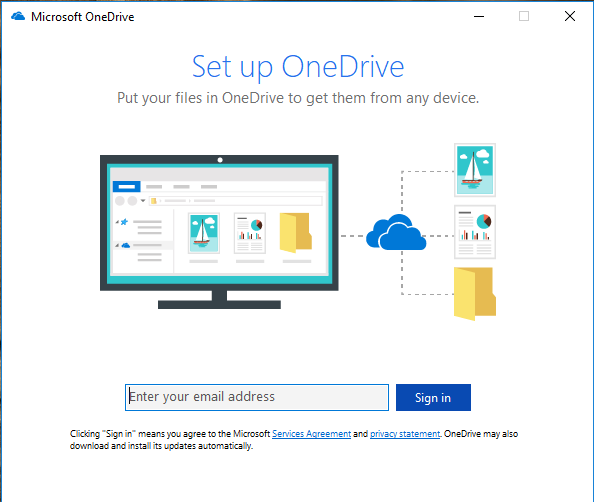 One way sync OneDrive files and folders with the help of OneDrive official application as well as third party cloud sync software - MultCloud in Windows 10/8/7. 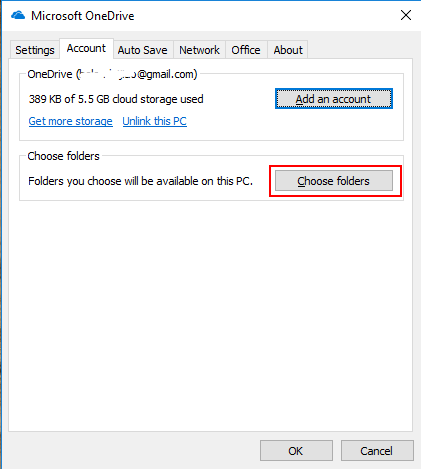 What Is OneDrive One Way Sync? In general, one-way sync means that new added or revised files/folders in one cloud storage will be reflected to the other cloud drive. Yet, changes made to items in the other cloud won’t be reflected back. If files/folders added or revised in the other cloud account do be reflected back to the first account, it becomes a two-way sync. The definition above is derived from Wiki. According to its explanation, one-way sync or two-way sync happens between two cloud drive accounts. However, cloud drive users usually requires one-way sync or two-way sync between local storage devices (computer, laptop, notebook, iPad, phone, camera, USB, SD card, etc.) and cloud storages. Luckily, both one way synchronization connections will be introduced in this article. Why need to one way folder sync? As we all know, with the fast development of information high technology, there are an increasing number of data to be saved for every person. Since the expense of traditional local hard disk is high, some people create a new way to store the large amount of information – cloud drive storage. Thus, most users put their data in cloud instead of local devices to save local space and money; also, cloud space is a good place to save the copy of crucial data; and, cloud drive is a public storage space which is easy to exchange information with others like your friends, colleagues, families as well as anyone you know. Vice versa, you can download files/folders, photos/pictures, docs/sheets, videos/movies, etc. (maybe shared by others to you) from cloud to local. As for one-way sync between local and cloud, either from local to cloud or from cloud to local, the official OneDrive App can help you with that. 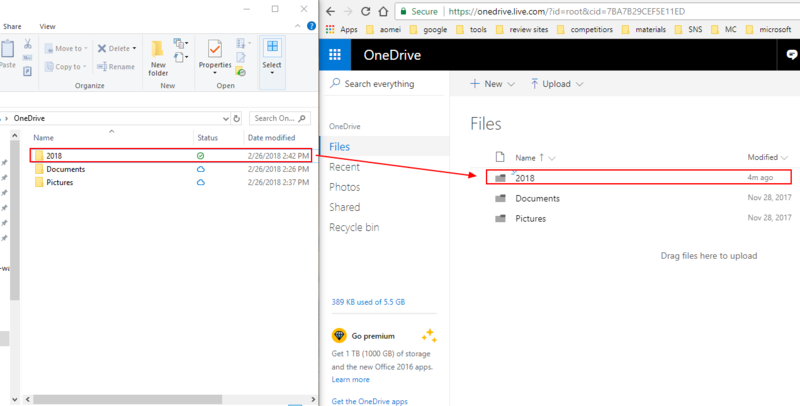 Tips: The web version of OneDrive allows you to exchange files between local drive to cloud drive by uploading from local to cloud or downloading from cloud to local. Yet, these operations are not automatically completed and you need to manually operate them. To make use of OneDrive App, you have to first of all install it on your device. Tips: Install OneDrive App is also install OneDrive in your device. Here, take computer device for example. If your computer is running Windows 10, you do not have to install OneDrive for it is embedded in Win10 and has been installed in your computer when you install OS. When successfully installed OneDrive App, open it and sign in your OneDrive account. It is easy to one way folder sync from local to cloud; just create a subfolder (“2018” here) in local OneDrive folder and put all the files you want to sync to cloud drive. Then, it will automatically sync the subfolder to OneDrive cloud. Notes: In default, OneDrive App is a two-way sync App. To avoid new added or revised files be synced from cloud back to local, you’d better not to edit them in the synced subfolder (“2018”) in Dropbox cloud. 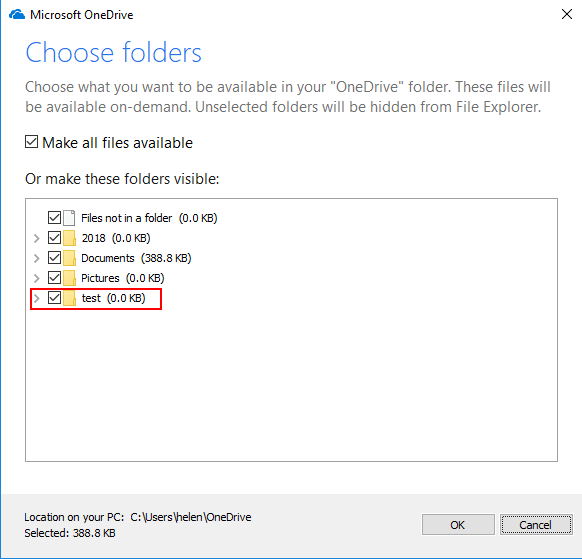 Firstly, create a folder (“test” here) in OneDrive cloud. Then, right-click on its taskbar icon and choose “Settings”. In Account tab of the pop-up window, select “Choose folders”. Next, select the folders you want to sync from OneDrive cloud to your computer. Similarly, to avoid OneDrive App automatically reflect the changes from local back to cloud, you mustn’t edit the synced folders (“test”) in local computer. You mustn’t uncheck the folder synced from local to cloud (“2018”) here. If you do, this folder is also invisible in local. Then, you can’t put source files in it. If you want to sync files between cloud drives, sync from one OneDrive account to another, you can rely on a third party software named MultCloud for OneDrive official App currently does not support such service. MultCloud is an online program, so you do not need to install it on your local device. However, you have to firstly create an account of it before making use of it. Then, add your OneDrive accounts to its platform. In its main interface, go to Add Clouds tab and select “OneDrive”. Then, follow the easy guidance to finish this task. Tips: MultCloud can only add one cloud account at one time. In order to add more accounts, please repeat the operations. Next, OneDrive one way sync from one account to another by specifying one account as source and the other account as destination in Cloud Sync tab. And, make sure that “One-way Sync” is selected as the sync method. There are altogether 7 kinds of one-way sync methods at your choice in General Options: Simple Sync, Mirror Sync, Move Sync, Cumulative Sync, Update Sync, Incremental Backup Sync and Full Backup Sync. 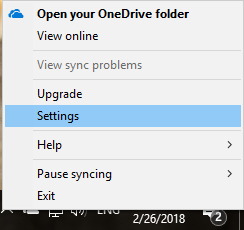 OneDrive sync schedule. 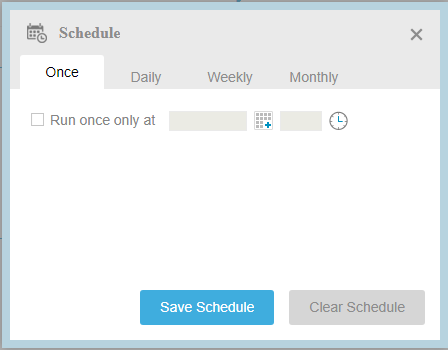 MultCloud still enables you to set a daily, weekly or monthly schedule to automatically synchronize files/folders from source location to destination. Finally, click “Sync Now” to start the task. Both OneDrive App and MultCloud are very reliable programs. 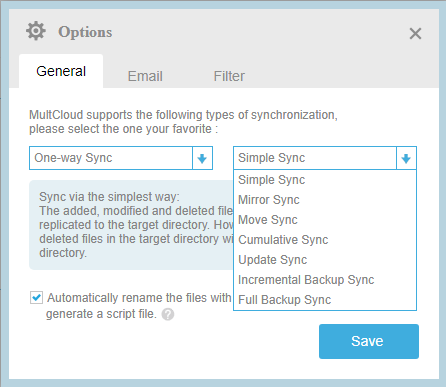 As for MultCloud, except for one-way sync, it also provides two-way sync. Besides sync from one OneDrive account to another OneDrive account, it can also sync from OneDrive cloud drive storage to other brand clouds such as Google Drive, Google Photos, Dropbox, box, etc. Furthermore, in MultCloud platform, you are able to manually upload or download files between local and cloud drives just like in the web cloud drive, create new folder, delete existing files/folders, cut/copy and paste items from one cloud to another, rename a file, etc. ; and transfer files from one cloud drive account to another.